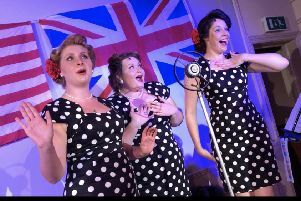 It is all about girl power as an all female theatre company will perform at Chipping Norton Theatre. Sea-Change take on Shakespeare’s final play The Tempest from Wednesday to Thursday, September 26 to 27. Prospero is a single mother from Milan. Deprived of her dukedom she is abandoned by her enemies on an island, where dwells a host of supernatural creatures, including the terrifying, villainous Sycorax, who is intent on absolute power. When Prospero’s usurper draws near the island, a magical storm draws together old enemies and new lovers in a tale of sorcery, spirits and the sea. The play has been described as a humorous, thought-provoking and gender-bending adaptation for our times, underscored with sea shanties, calypso and contemporary music. Director Justine Malone said: “I was keen to keep the mystical darkness and sense of voodoo magic at play - but have cut it down to a shorter, more pacey, anarchic series of events. “I wanted to draw out that sense of the unpredictable, inspired by 80s punk and atmospheric synths (the soundtrack features Siouxsie & The Banshees, Patti Smith and Delia Derbyshire). “We’ve also played around with some of the sub-plots and brought them in as memories and flashbacks. She also stated that a very different relationship can be portrayed in the show. Visit www.chippingnortontheatre.com to book tickets.